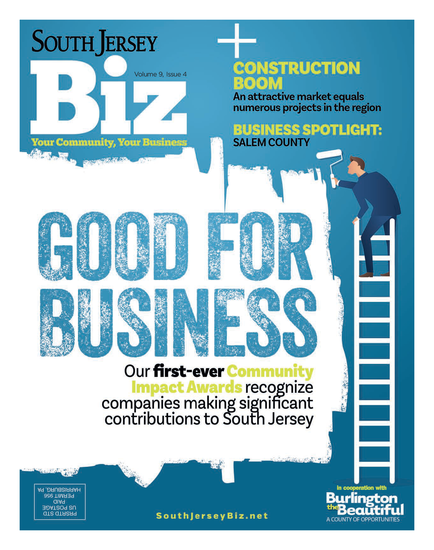 South Jersey Biz is the region’s premier business-to-business glossy publication, providing hyper-local content in an engaging format – with far more than just facts and figures. The monthly magazine publishes timely, entertaining and informative stories dedicated to businesses and industries in Burlington, Camden and Gloucester counties, offering unprecedented insights into Philadelphia’s affluent New Jersey suburbs. Readers will recognize previous titles Burlington the Beautiful, Camden County Advantage and Gloucester County On the Move, now merged to form South Jersey’s leading magazine dedicated to business. Whether documenting innovations in health care, focusing on finance and the economy, or exploring how companies are “going green,” our editorial vision is in touch with what matters most to business leaders today. Partnerships and initiatives with local tourism boards, chambers of commerce and government agencies help us to bring South Jersey this highly targeted and engaging business resource. South Jersey Biz is mailed directly to area business owners, CEOs and leaders that shape the local business community. These decision makers look to this monthly resource for news, guidance and analysis to improve not only their bottom lines but also their quality of life.